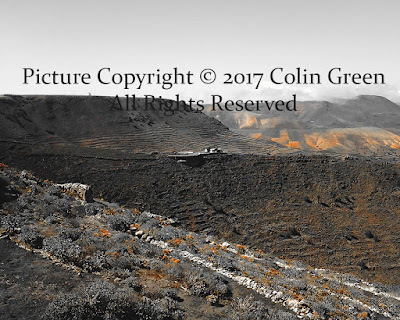 Colin Green Photography: The View from the Penas Del Cache, the Highest Public Viewing Point on Lanzarote. 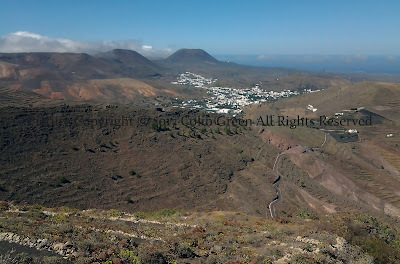 The View from the Penas Del Cache, the Highest Public Viewing Point on Lanzarote. The Penas del Cache is the highest publicly accessible point on the island of Lanzarote. It rises 670 metres above sea level and gives outstanding views of the Atlantic Ocean and the north of the island. The viewing point is not quite at the top of the mountain but a military facility higher up prevents public access. The Penas del Cache is popular with night time photographers as there is no light pollution and it's height offers unrestricted views both upwards and outwards. Sadly when I visited I had not really become interested in photography so did not take the opportunity to try this. These pictures were taken in July 2013 with my Samsung Galaxy tablet. There are 7 pictures available to view 5 of which can be viewed best quality and A4 size on Flickr by clicking the album below. The following pictures can be viewed full size, best quality and without a watermark on Clickasnap via the link underneath each picture. Click here to view "View From Above" on Clickasnap. You will be taken to clickasnap where you can view the picture full size best quality and without text. This picture was taken using a Samsung Galaxy Tablet in July 2013. 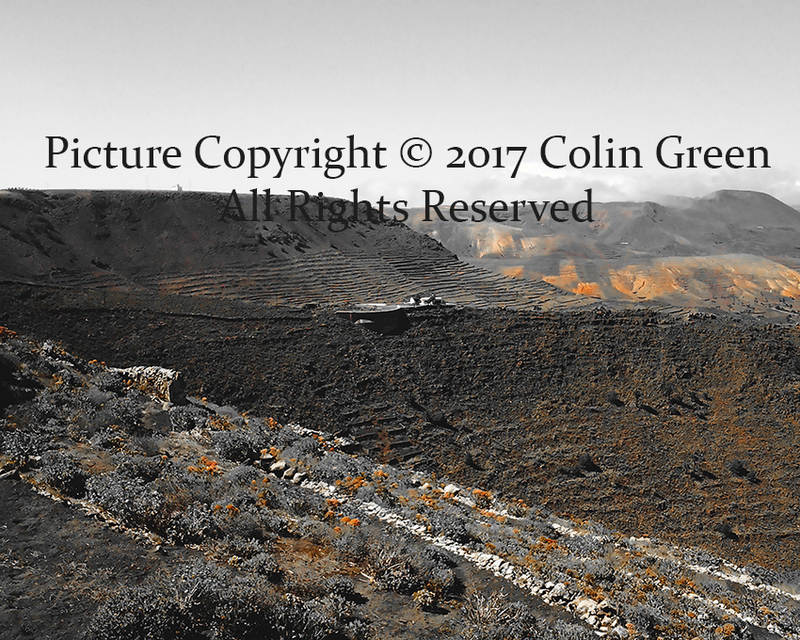 Click here to view "Martian Landscape" on Clickasnap. You will be taken to clickasnap in another window where you can view the picture full size best quality and without text. This picture was taken in July 2013 using a Samsung Galaxy tablet. Here is a short film set to music from my YouTube channel taken form the view point.